If you’re in need of a reliable, affordable and top-notch West Des Moines carpet cleaning service, then look no further. WDM Carpet Cleaners has been serving central Iowa for years, providing unparalleled carpet cleaning service in West Des Moines, Urbandale, Des Moines, Clive, Ankeny, Altoona, Grimes, Indianola, Waukee, Johnston, Adel, Newton and more. At West Des Moines Carpet Cleaners, we are steadfastly dedicated to our customers, and since we are locally owned, you can count on us providing a premium cleaning with friendly service. Our goal is simple: provide the highest quality service at the best possible price. And of course, we won’t leave a job until you’re absolutely satisfied with the results. And in the service of providing high-quality West Des Moines carpet cleaning, we avoid all harmful chemicals and harsh solvents, so you’ll enjoy refreshing family friendly and pet friendly results. 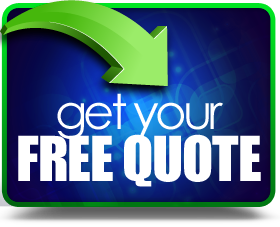 So reach out to us at (515) 619-6797 and we’ll demonstrate just what makes us your go-to West Des Moines carpet cleaner: friendly service, premium results and all at a great price! "Jeff, not only took care of my dad's carpet cleaning with uber short notice, but he also cleaned our carpets today for my son's graduation open house! Jeff and his team did a great job, at a great price. Amazing customer service and care we were given...above and beyond! Thank you!" "Thanks to Jeff and his crew for their speedy service for getting out and cleaning our living room carpet after an unfortunate child vomiting incident! Great job!" © 2019 WDM Carpet Cleaners. All Rights Reserved.